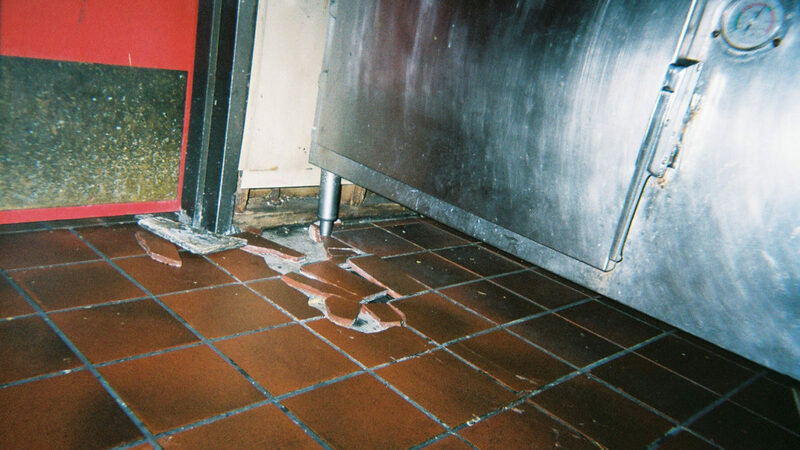 Why do restaurants and commercial food preparation facilities continue to use tile for their flooring? Simple: tradition. It’s a look that people are familiar with. But would these restaurants and facilities use tile if they knew what the real material costs were? Costs like the material’s tendency to stain, break, cause falling injuries when wet and nurse harmful bacteria in its pores and grout. But that’s just what people are doing despite the fact that there are slip-resistant, anti-microbial flooring solutions that are easy to clean and maintain. Everlast Epoxy manufactures commercial-grade epoxy in the U.S. and enjoys proprietary exclusivity to their process. By blending anti-microbial resins and aggregate into incredibly durable surfaces, major U.S. organizations have taken notice and even now installed Everlast Floors with more looking to do the same. 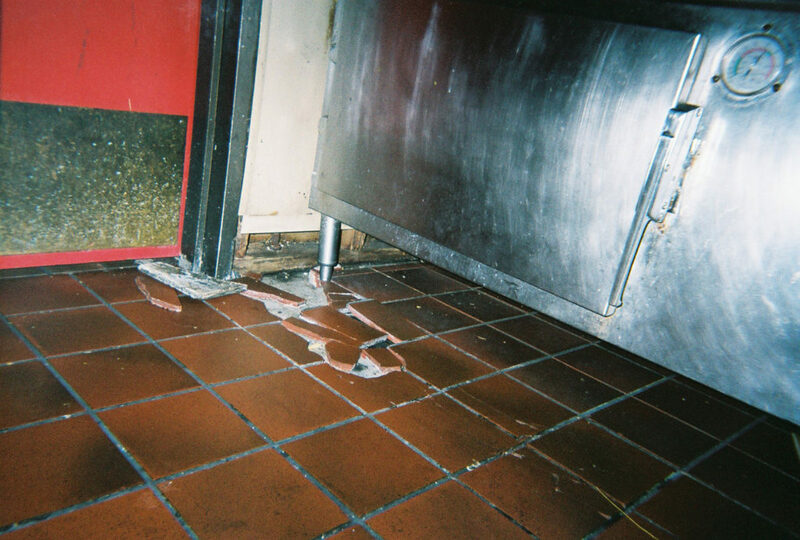 Tiled floors in restaurants and food prep facilities are disasters-in-waiting. Food particles, liquids and cleaning solutions all conspire to cause injury from falling onto tile’s easily stressed surface, breaking tile and bone. In addition, its porous surface and the nooks and crannies of grout are petri dishes for bacteria and fungus. Traffic, impacts and weight from heavy machinery continue to run up the product’s cost as more time and tile is required to patch the often-fractured material. Everlast epoxy floors are slip-resistant saving cost over time in reduced injury alone. Our floors durability can actually save you money. The impressive chemical resistance with Everlast Flooring repels animal fats and greases, both acids and alkali and harsh chemical cleaners and de-greasers. It’s impact resistant as well, though even when gouged the anti-microbial properties continue to be effective. Because of how we manufacture or product, the floor is antimicrobial through the floor not just on the surface. And its aggressive surface finish ensures the proper coarseness to prevent slipping on even greasy kitchen floors. Injuries related to falls constitute the majority of general industry accidents. The costs associated with disabled employees are huge and when combined with the costs of litigating and compensating for foodborne diseases, only one conclusion can be reached. Tile is a bad choice. It’s bad for employees, it’s bad for consumers, it’s just plain bad.